At the San Diego Comic Con over the weekend, the Moebius Models booth included a display announcing they will releasing starship model kits of designs from the Kelvin timeline. 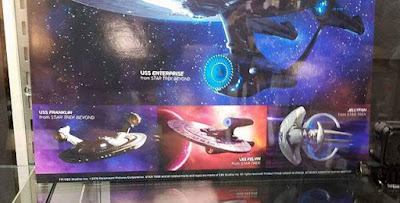 Due to start in 2017, a poster on display promises the range will include the Star Trek Beyond version of the USS Enterprise, the USS Franklin, USS Kelvin, and Jellyfish. 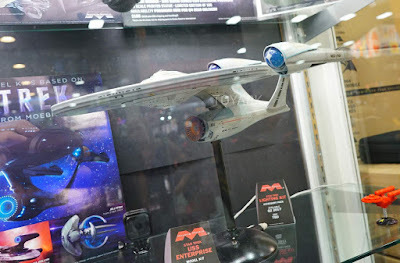 The display also had a fully built and finished original configuration Kelvin timeline USS Enterprise, and notes of plans for a lighting kit to accompany the release. 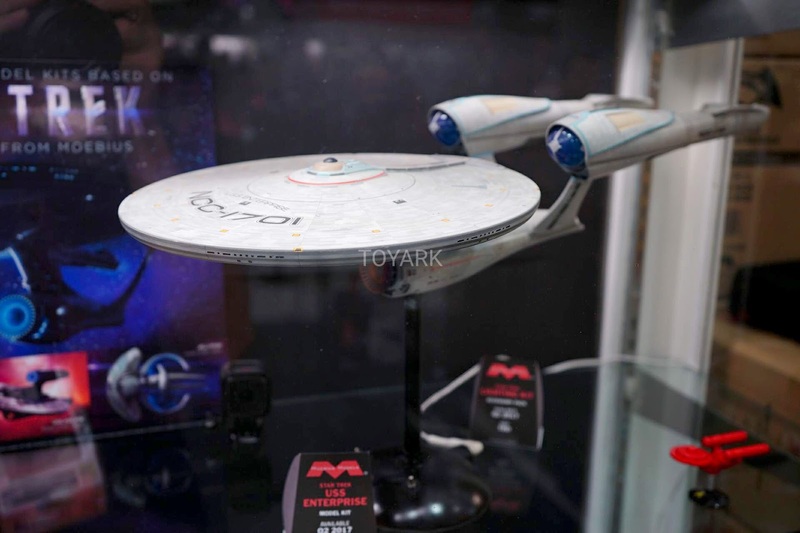 Images above via Toy Ark and Starchwreck Props and Models. This is great news! I want the Kelvin and Franklin. Looking forward to the prospect Moebius will do some pre painted/finished models of these ships too! "Looking forward to the prospect Moebius will do some pre painted/finished models of these ships too!" Have they sold pre-painted before? I'd love one of these but I know I wouldn't be able to do justice to the paint job.